Gripsweat - DEFTONES - BOX SET, Thrice, Thursday, Underoath. New Still Sealed! DEFTONES - BOX SET, Thrice, Thursday, Underoath. New Still Sealed! DEFTONES - BOX SET, Thrice, Thursday, Underoath. 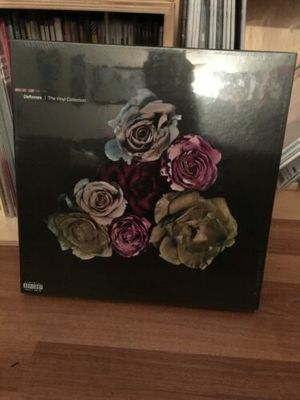 New Still Sealed!. Condition is New. I am not a record store, I am just a guy trying to sell off his record collection, so if your not a person with patience, then I suggest buying from a record store that is set up for speedy delivery. I usually try to go to the post office on my lunch break Tuesdays and Thursdays. I send out records in the order they were placed, so when I’m backed up on orders it can take 5-7 days to get your record shipped. So I ask to please not contact me and ask if your record has been shipped. It just slows the process down even more. You will get shipping notification and tracking info once it is in the mail. Thank you.